Yep mate the meet is still on! Does anyone know if there's a chippy near March tesco where we can get a bite to eat? As *NattyMay* surgested the idea for a cheap meal. hey, yeah i would like to know weather we are eating or not at the meal, i know u boys dnt reli care but im not going to turn up without having dinner then deciding not to eat as i will then be too hungry and it will b far to late to eat by the time i get home. also i dont want to eat and then turn up and every 1 wants to eat. sooo get organised boys!! i dont have like any spare money anyway, so i suggested like he said a chip shop.. bag chips around a pound would sort me out, cheap, cheerful and hopefuly. i just searched and found theres quite a few chippys. if u lot wanna go more posh then just say soo so i can eat before i come! Yeah man we'll go get some chips , my car isn't going to be attended unfortunately, hopin Dan will come and I can hitch..
Nic wrote: Yeah man we'll go get some chips , my car isn't going to be attended unfortunately, hopin Dan will come and I can hitch..
and when was dan going to be informed! 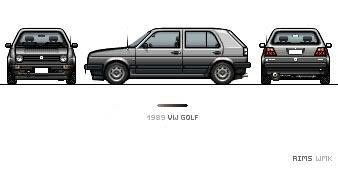 nah that be fine, riding in style in the retro golf!!! Rite who is 100% coming to this? Gotta be there! Cant wait for this one. its meant to rain tonight and still quite windy out there so how about we dont stand in tesco car park allll evening and we go to a pub for a drink after the chips or something so we in the warm! plus me and nic can get wasted cos we just passengers lol only joking lol. No worrys m8y! Always another one!